Dubbed movies which made an impact at the box-office: M.G.R.s “Veerakadgam”(1958)! 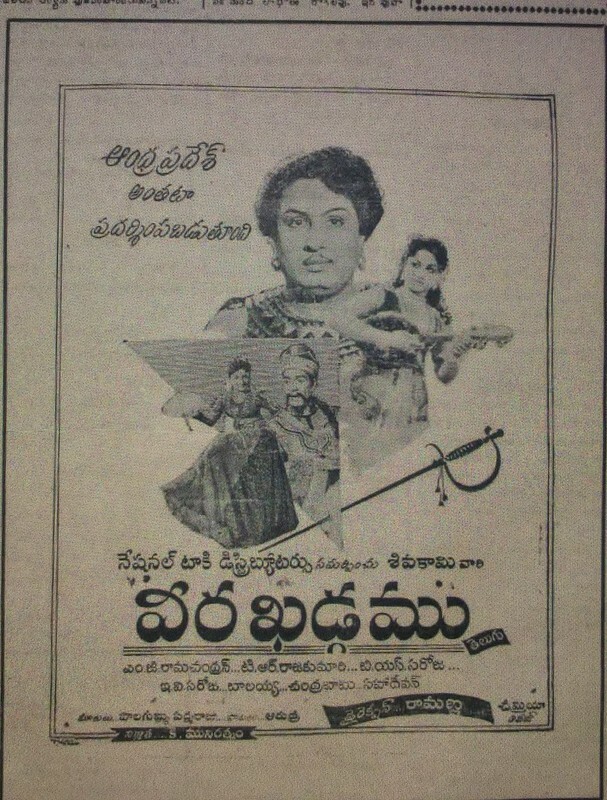 M.G.R.’s hit film “Pudhumai Pithan” was dubbed into Telugu as “Veerakadgam”. Ramanna, who has the distinction of directing the only film in which M.G.R. and Sivaji acted together (“Koondukili”), directed this film and his sister T.R.Rajakumari played the female lead along with B.Saroja Devi.